Summer season is long gone in India. Does it mean that we cannot rock fuschia lipsticks anymore? Fuschia is a gorgeous, bold shade which can be worn throughout the year. It suits our Indian skin tones beautifully. But a lot of women don’t feel brave enough to pull off this shade bright shade as lipstick. Don’t worry, I used to feel the same until I got my first fuschia pink lipstick and fell in love with it. Makeup lovers should always try some out of the box things – it took me a long time to realize this. 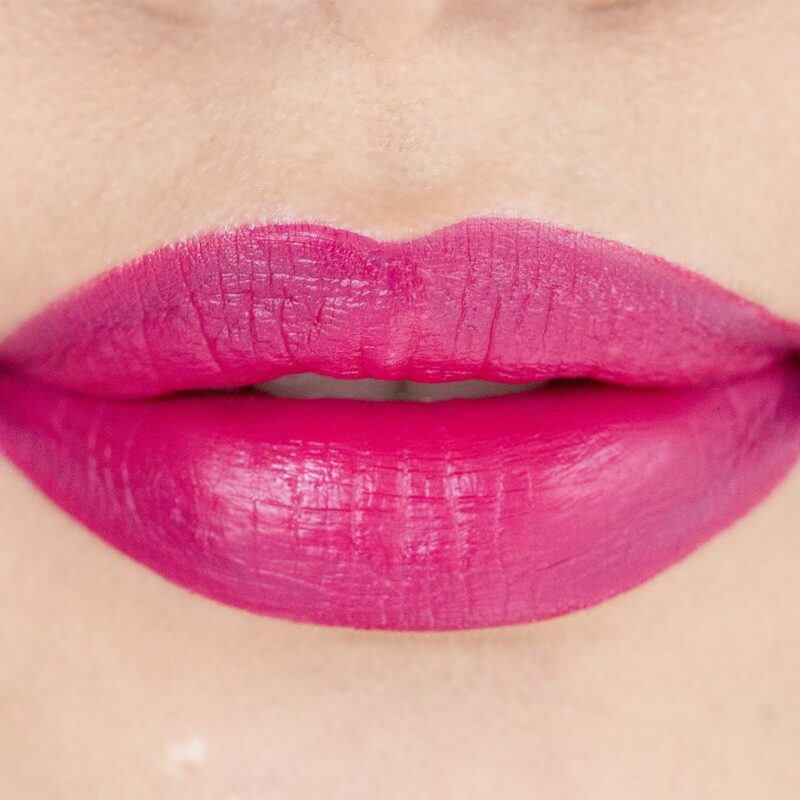 I hope this line will convince you to rock a fuschia lipstick now. 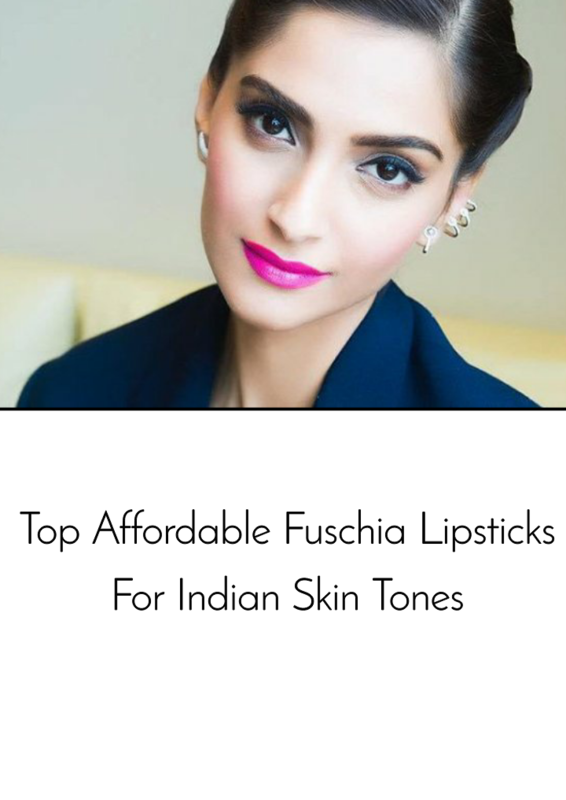 😉 If it does and you plan to buy a fuschia lipstick for yourself, then you are going to find this list of top affordable fuschia lipsticks for Indian skin tones helpful. Let’s get started! I have divided the post in different price brackets so that you can easily find the lipstick that will fit in your budget! It all started with this lipstick. I mean, there were tons of fuschia lipsticks available in India before Mary Poppins was even launched.. But this particular shade managed to grab everyone’s attention and I started to see so many people/co-bloggers rock this stunning blue-fuschia shade on social media. Well, it is so beautiful that it was bound to grab all the attention. I didn’t plan to buy this shade in the first place because I had already purchased the Maybelline Colorsensational Lip Gradation Fuschia 1 lipstick before Mary Poppins was launched. They both are the exact same shades, but there are a few differences. The Maybelline one is also a crayon lipstick, but it does not need to be sharpened because it is in the twist up form. On the other hand, the SUGAR one comes in pencil crayon form which requires to be sharpened. It comes with its own sharpener, but many people still would not like this fact because it leads to product wastage. I had the same thoughts when Matte As Hell Crayons were launched so I was skeptical about trying them, But then, when I booked my January Fab Bag, I was given an option to choose a lipstick and this was the only shade from SUGAR cosmetics that was available to be chosen. I desperately wanted Poison Ivy from this range, but well. Let’s forget about it. You can find this crayon lipstick on Nykaa and Amazon with discounts. Matte lipsticks are so in trends since last couple of years.. But sometimes, it is OK to switch to glosses because glosses make the lips look more plump and luscious. 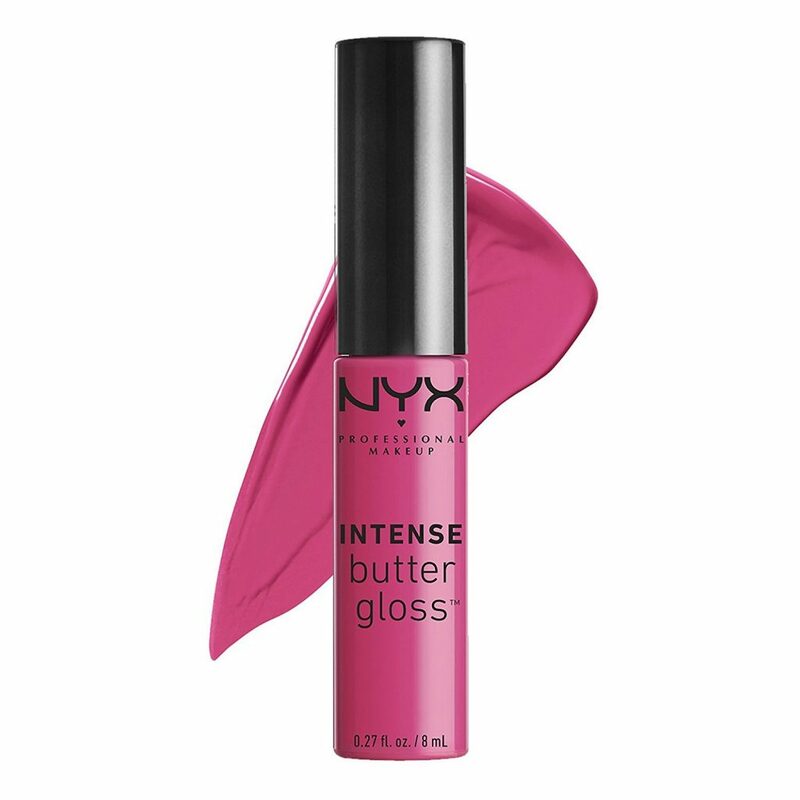 NYX has two ranges of lip glosses, butter gloss and intense butter gloss. I don’t know how they differ from each other in terms of quality. This shade “funnel delight” is from the intense butter gloss range. It is a medium bright pink shade with blue tones. Looks really pretty and luscious in the swatches. Wish I could get it, but I am eying “Apple Crisp” – a warm toned red shade from this range because I love reds more than pinks! 😊 It is available on Amazon and Nykaa. I saw my favourite youtuber corallista wearing this shade in her recent navratri makeup look tutorial. She looked really fabulous in this shade so I had to mention it here! ❤ PAC’s liquid matte lipsticks don’t have shade names, just numbers. This one is in the shade #29 and it is an extremely gorgeous fuschia pink shade that will just brighten up your whole makeup look. You can check out its swatch and the makeup look corallista did with it by going on her YouTube channel or Instagram. Get it from Amazon (with shipping charges) or Nykaa (free shipping). It costs only Rs.500/- while Mary Poppins costs Rs.799/-. It does not require to be sharpened, hence, there is no wastage of the product. It comes with a “smudger” on the other side which you can use to create the famous ombre lips trend from Korea (not invented by Kim Jong Un). Something unique! I have reviewed Pink Flirt shade from the same, Nykaa So Matte range. It is a decent lipstick, worth the price and has a cool magnetic packaging which is very rare to find at such price point. Frisky Fuschia seems like a medium blue toned fuschia pink shade, there is one more similar shade in this range called Pink Brat. You may check their swatches online on YouTube. Get it here. This L.A Colors range has quite nice reviews on Nykaa. I don’t know much about this brand, neither I have explored their product range yet. But they do seem quite affordable for a foreign based brand. 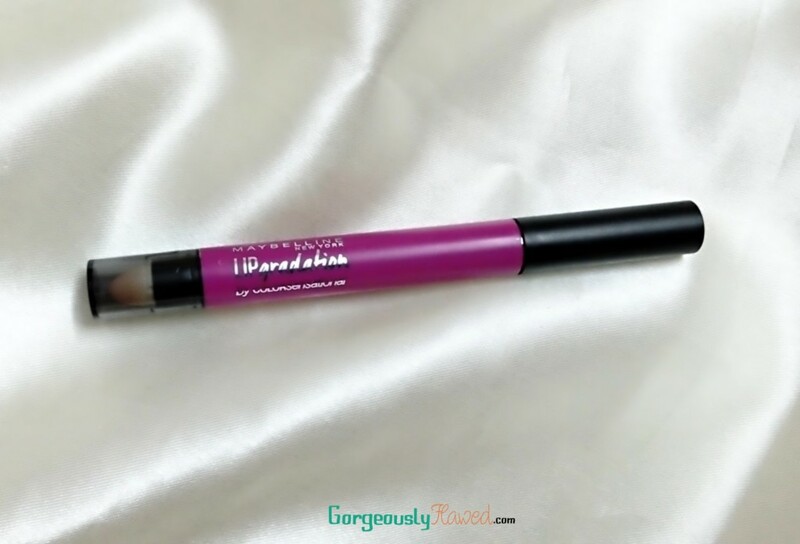 You can see how stunning the shade Tantalize is in the picture above. The packaging looks pretty decent too. Check it out on Amazon and Nykaa. Nicka K is a New York based drugstore makeup brand that is getting popular day by day in India. Their products are priced almost same as the L.A Colors ones. I am so in love with the packaging of this Vivid Matte lipstick in shade hot pink. Isn’t it cute? You can also take a look at Fashion Fuschia shade from the same range. It is more on the magenta side so it is more wearable. It’s available on Amazon with a discount of 35%!!!! Nykaa also offers huge discounts on Nicka K products periodically. Color show lipsticks come in tons of shades, ranging from nudes, to reds and pinks. Of course, there are a couple of fuschia shades too in this range. This shade called flaming fuschia is a bright blue toned fuschia shade which will compliment the Indian skin tones well. It has a matte finish. I have tried the shade called peach personality from the color show matte lipsticks range and honestly, I didn’t like its formula much. It applies too patchy on my lips, but I guess it looks so mainly because the shade is too light for my skin tone. Anyhoo, I have seen multiple swatches of flaming fuschia on the internet and it seems like a completely smooth, pigmented and bright pink lipstick. Thumbs up from me! 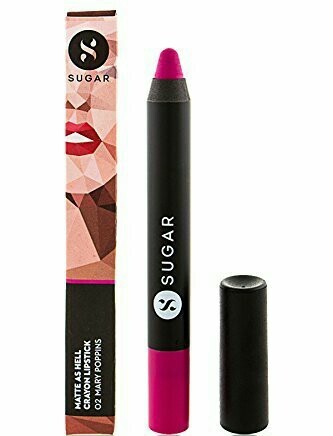 Although this lipstick is priced at Rs.325/-, you can easily get it for Rs.200-250/- on Amazon or Nykaa. After Elle 18 Matte Lipsticks range, the Lakme Enrich Lip Crayons has to be the best-est and most affordable range of lipsticks by an Indian drugstore brand. The tiny lip crayons from this range are available in 10 shades and they come with their own sharpeners. As per reviews, these crayons are not that pigmented, but their lasting power is decent. 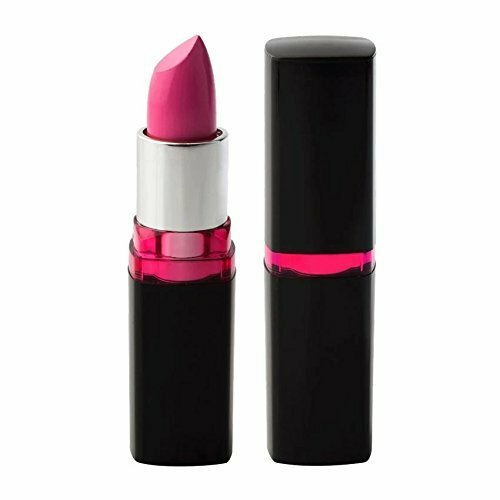 If you are looking for an ultra cheap matte bright pink lipstick then you can check out Pink Burst from this range. It is available on Nykaa. 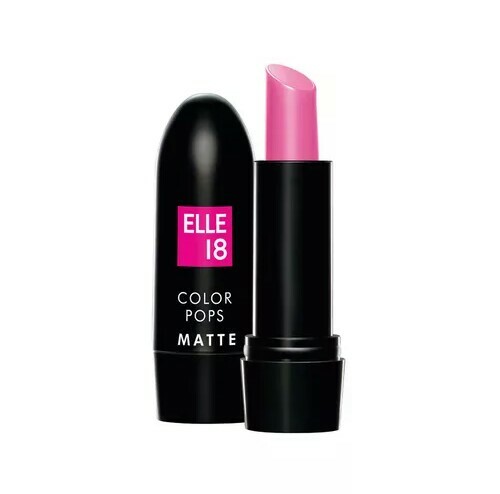 In case you are not able to get your hands on first love shade from the matte lipsticks range of Elle 18, you can go for Hot Pink shade from the color burst range. 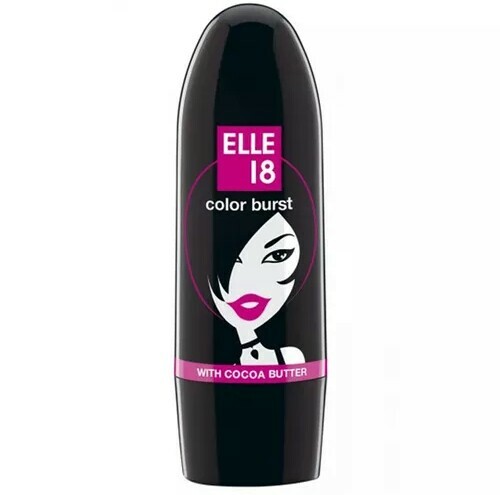 This range’s lipsticks have a creamy and glossy finish. They are not as long lasting or pigmented, but the quality is decent for the price. You can find this range in stores and online at Amazon or Nykaa. Exfoliate your lips beforehand. Fuschia is an attention-grabbing shade. If you have chapped lips, this shade will further accentuate the dryness which will not look pleasant. Apply a thick layer of lip balm and use a baby toothbrush in circular motions to gently exfoliate your lips. Line your lips with a lip liner of a similar colour before you apply the lipstick. It will increase the staying power of your lipstick. Use a defined lip brush to apply the lipstick precisely on the edges. Lightly dust some compact powder or loose powder on your lips to mattify the lipstick and make it long lasting. Also apply the powder on the edges of your lips to keep the lip colour from bleeding. When you are going bold on the lips part, you should always keep your eye makeup simple. Pair your fuschia lipstick with a light bronze or champagne eye makeup look. Don’t use a coloured eyeliner. Which affordable fuschia pink lipstick did you like the best? Let me know which one are you going to purchase by commenting below! Stay tuned for more such posts. Previous articleDid You Know These 5 Ways Glycerine Fights Oily Skin Problems? Wow this is wonderful!! Very inclusive! I don’t like pink lip shades personally but after reading this, I m surely going to give these a try.. I love pink tone lipsticks. Great options. My favorite fuchsia is maybelline matte lip gradation lipstick! Hi which shade is sonamed kapour also can u suggest lipstick having same shade but at reasonable cost. Hey deepa! Thanks for your comment. I don’t know the exact shade that sonam kapoor is wearing in the picture, but I think it could be L’Oreal Infallible Forever Fuchsia. 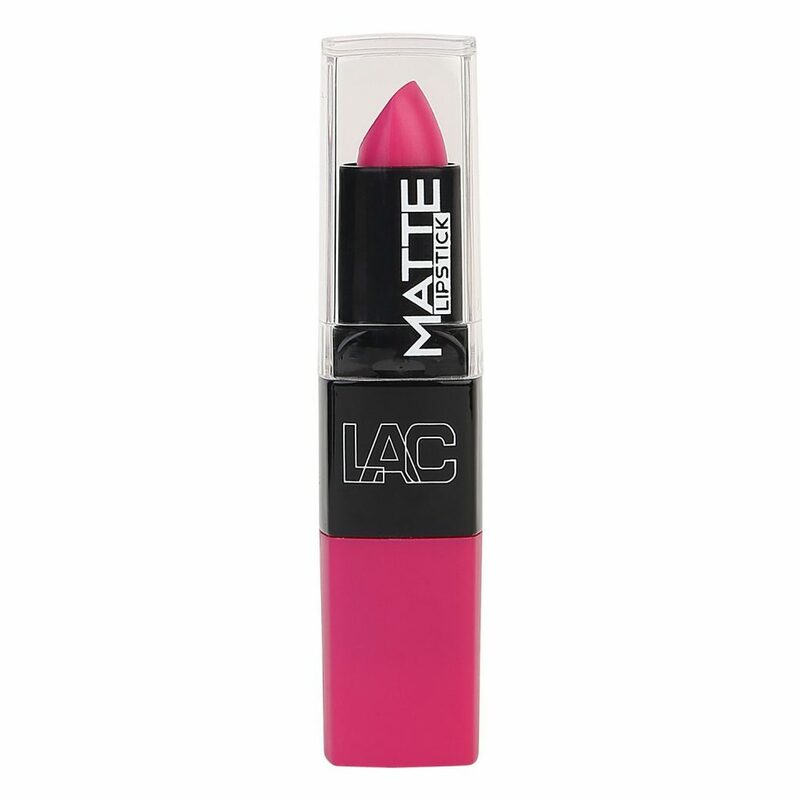 You can try Maybelline Color Show Bright Mattes Lipstick Peppy Pink.